Welcome to the training room! These articles were written by myself for Cabincrew.com website - I have reprinted a few of them in the training room to help you achieve your dreams of becoming cabin crew. There are many more in the career advice section of cabincrew.com. Enjoy them and good luck at your next assessment day! Cabin Crew assessment days are never easy and it has to be one of the most stressful job interviews ever! But with these 10 great hints and tips from Cabin Crew Consultant, you should shine out above the rest and soon be on your way to your dream career. 1. Get to the assessment centre early! Firstly, you don’t want to be late and possibly miss the assessment altogether but you want to be prepared and have time to take a few deep breaths before the day starts. 2. Look professional. This is crucial, as potential crew are judged on appearance and those first 5 seconds of meeting the recruitment team are essential for making a good impression. Make sure your business suit is smart and pressed with a white blouse or shirt underneath. Check that your shoes are shiny and of a classic style. Hosiery must be immaculate and plain for boys and girls and jewellery kept to the minimum. For the boys, make sure hair is well groomed and facial hair tidy. For the girls, wear your hair up in a pleat or bun preferably and make sure your make up is immaculate and not overpowering. Do a little research into how the Cabin Crew present themselves and try it out. For example, the Emirates and Etihad female crew mostly wear their hair tied in a bun and prefer red lipstick and grey/brown eye shadow. Keep up your appearance during the day to check your hair is in place, make up is still on etc. Look the part already and not only will you feel more confident but you will let the recruiters see how you will look as part of their crew. 3. During the day, mix with as many people as you can – smile, talk and be friendly! This will show off your communication skills and ability to work with all kinds of people. You may not see any recruiters there, but believe me, they will be watching you! 4. In advance, practise typical airline interview questions and answers so that you will feel prepared for the final interview and do the very best you possibly can. 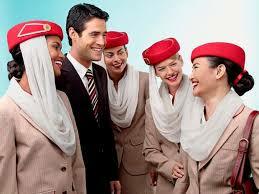 You can find Cabin Crew interview questions and answers online and also at my website www.cabincrewconsultant.weebly.com. 5. During your team tasks, never ever talk over anyone else or put anyone down. That is a huge no-no. Speak appropriately, listen carefully and involve other team members to join in. For example, if you say “That is a really good idea, but what do you think, Sue?” this shows that you have listened, thought things through and are using teamwork too. This will show how good you are at working in a team and helping others too. 6. Research your airline. Before you go to your assessment day it is a good idea to know a little about the airline you want to work for – What aircraft do they have? Where do they fly to? What is the airline’s motto? What do they want to achieve? The recruiter may ask you a question which is airline related like “How do you think you would fit into our airline?” With your research you can reply with confidence and really impress the recruiter and it shows that you are really interested in working for the airline. 7. Once you get to the final interview, watch your body language and posture. Make sure you don’t cross your arms or legs and sit up straight. Smile and speak slowly. Remember, that you could be the face of the airline, so show that image now! 8. Try and be confident but not over confident. Imagine you already have the job, think good thoughts and look the part. Most importantly, be yourself! 9. Please understand that if you get eliminated during your assessment day that not every airline is the same, don’t take it personally. Some will have quotas to meet that allow for only so many crew members to be recruited that day or they may be looking for something specific like male crew who speak Russian. Also, sometimes, it’s just not the right airline for you – your personality may not fit at Easyjet for example, but you’d be great at British Airways. 10. Finally, never give up! It is rare to get a job as Cabin Crew after just one or two interviews. Just because you didn’t make the final cut doesn’t mean you won’t be great Cabin Crew. Keep applying for all the airlines and remember the more assessment days and interviews you attend, the more experience you have next time around. It takes a lot of time and effort to become Cabin Crew and to finally pass your assessment day and interview, but the more work you put it the more likely you are to succeed. Hopefully, this hints and tips will really help you shine at your assessment day and get you well on the way to your dream career. Remember, if it doesn’t work out for you - it’s not a personal thing; it’s often a case of finding the airline that suits you. From personal experience, when I started out, I attended 20 Cabin Crew assessment days and interviews, over a 6 month period before finally getting the job and it was with an airline, I thought were way too good for me and I didn’t stand a chance! I stayed with them for 6 years and have now been flying for 17 years... So don’t give up, you never know where your journey will take you! Starting Out – I want to be Cabin Crew! So, you want to cabin crew but are not sure how to go about it? If you are not sure what the airlines are looking for or what requirements you need to meet, you can find some answers here. There is also some advice on what you need to do before your application. Here we have an easy mini guide to help you on your way. This is a list of basic requirements that most airlines ask for, for new recruits. Please research your chosen airline and check that you meet their individual requirements. These requirements may also change depending on the country where you will be based and the type of aircraft that they have. If you meet all the requirements, now is the time to make your applications. Research all the airlines in your own country first, they can be scheduled airlines, charter airlines, budget airlines and regional carriers and make a list of those who are recruiting now, this you will find out on their websites. Then look for those further afield that accept foreign candidates for example, Emirates and Etihad who also list their open days and assessment days online. Open days or ‘walk in’ days, you just take your CV and photos on the day to the assessment centre and meet the recruiters (but do check online first, as you may have to register!) Assessment days are by invitation only and you will be invited if the airline is interested in your application. Some airlines recruit all year round, some recruit only once a year for seasonal work and some recruit once in a blue moon, so you have to keep watching the airlines websites and the job section of this website. Make sure that your CV is up to date and includes all relevant experience – things like first aid certificates, language skills and customer service experience (especially within the hospitality or catering industry) are all a bonus. Taking a Cabin Crew course is not essential and not really an advantage to getting a job and vary widely in quality and content. However, if you feel that you want to find out more about the job or lack confidence it will not do any harm, after all, the airlines will give you all the training that you will need. Photographs are very important so make sure you look like you are Cabin Crew already, professional and friendly and in business clothing. No casual photos or photos taken with other people allowed! Once you are happy with your application and you have hit the ‘send’ button – forget about it, for now. The application process is long and can take anything from a few weeks to a year or two, so don’t pin all your hopes onto that one application. Do not limit yourself to picking just one airline – this is almost always a guaranteed route to failure! It is not like an ordinary job, where there are only a few applicants, thousands of people apply and the competition is tough, so if you really want to be Cabin Crew, apply for as many as you can and give yourself a real strong chance of finding a Cabin Crew job. Beware of scams – never pay any company money in advance for assessment days, application fees or training fees. A reputable airline will never ask you for money and you should never ‘pay’ for a job. Unfortunately there are a lot of scams out there now, who are willing to take your hard earned cash for their fake airlines. If in doubt, ask on the forums of cabincrew.com where an experienced crew member will know if the airline is real or not and can find out if it is a scam. Finally, if your application for gets rejected and you don’t get an assessment day, don’t just give up! You can apply again after 6 months or a year and try again. It may just be that the airline isn’t quite right for you now or that you live in the wrong area or that they have enough recruits lined up already and there is no space in training school... so don’t be disheartened. In one recruitment drive, one airline received 75,000 applications in a month period, 800 of those were invited to assessment days and in turn, only 120 got the job, so you have to work at it. The road is long, but if you really want a job as Cabin Crew you keep trying until you get there! FAQ: What are recruiters looking for? Passion for the job – Wanting to travel the world is not enough…You need to be an empathetic caring individual who genuinely wants to help people and provide excellent service as well as being the carer and rescuer when things go wrong. Professionalism – Communicate with your colleagues, always have a smile and work as a team, this can change a whole day onboard. Understand your role, go the extra mile and never stop learning from each other. Be discreet when you need to be and don’t intentionally put another person down. Image – You must look the part and be aware of how your own image is in uniform as you will be a representative and an ambassador for the airline. You will be working long hours and have to look as fresh as you did at the start of the flight right through to the end of the day. Standards are high and we have to be able to see how you will present yourself in uniform. Customer service experience – We have to know that you can problem solve and know how to listen to a passenger and deal with enquiries positively. Good timekeeping – Never ever be late, this is a good way to lose your job. If you arrive late for the interview, you just won’t make the grade. If you are late during training, say goodbye to your colleagues. If you are late and miss your flight (with good reason), this will put you on the blacklist and you may only get one more chance. Timekeeping is an absolute essential, the aircraft will not wait for you! Responsibility – You take responsibility for your own actions and work on your initiative and admit it, if you made a mistake. You must cope well under stress and extreme pressure as this is something you will face almost on a daily basis. You need to be of a certain strength of character too, to be able to deal with emergency situations and deal with all the scenarios on your training course, which will prepare you for every eventuality. Flexible and adaptable – Everything can change in an instant and often does! You have to be able to ‘run with it’ and carry on… Remember you will have standby duties too, so you may have to leave within 20 minutes of being called. Understanding and caring nature – Look after your passengers on a daily basis, the best you can – excellent service and a smile can make or break someone’s day. This also reflects on the airline and how passengers see them and return for future business (or not). Teamwork and communication – These are essentials onboard in everyday practice and most certainly during any difficult situation/emergency. We are a team and that team can change every day, so you need to be able to work well with strangers you have never met before and all be working towards the same goal. I hope that this article gives you a little insight into what we look for in our candidates for cabin crew. Experienced crew can see the potential in new crew and can work out quick quickly whether someone has the right capabilities. At the assessment day, you will be being monitored the whole day, whether you realize it or not – so make sure you are networking, smiling and have a professional attitude. The group tasks and discussions are especially devised to bring out many of the qualities listed above and we can see how well (or not) you work in a team. The final interview is a way of seeing you as an individual and your chance to sell yourself and prove to us that you could really be great cabin crew. If you don’t have some of these qualities now, learn them and nuture them and they will serve you well in the future. Remember that the road to becoming cabin crew is often a long one and if one particular airline doesn’t work out for you, there will probably be another that will – you just have to find the right one for you. It takes very special people to become cabin crew and one day you should be proud of your airline and all that you have achieved to get there. What if I am not successful at my cabin crew assessment day? 1. No preparation for interview or their appearance does not meet airline requirements. Know and research your airline and join the forum on cabincrew.com for advice on assessment days. 2. Numbers – sometimes at assessment days recruiters can only recruit for a number of spaces at training school, so even if you got to the final stage, you may still not get through just to lack of availability of places. 3. Quota’s - in some cases, at an assessment day recruiters maybe informed that they can only recruit for a certain quota – this could be for a certain nationality or age or appearance. Although, no one will ever tell you this. 4. Fail at group tasks – this is a difficult one and it needs practice. Make sure you never speak over anyone else and never say that someone is wrong. Keep things positive and encourage your team but never take over the tasks. Remember team work and communication are the key things here. 5. Lack of confidence – Do mix with other potential crew members from all nationalities and smile and be friendly. You may think that no-one is watching but they are! Also, try and keep good posture and keep positive thoughts for the whole day. Unfortunately airlines do not give feedback as to why you are unsuccessful, this is mostly just down the amount of applicants and that it would be impossible to provide everyone with feedback. Remember that over 85% of all applicants do not get through the application stage or pass the assessment day, so you want to be in that 15% and any assessment day experience is only going to make you a better applicant. So, what can I do if I am unsuccessful? 1. During the application process, you have to be patient – it will take time and a lot of energy. You have to persevere and learn from each assessment day. 2. Do keep applying for as many airlines as you can (never limit yourself to just one or two as this is narrows your chances of becoming Cabin Crew, remember you have lots of competition!) Also, one particular airline might not suit you at this stage, but another one will. 3. Make sure you reapply to the airlines after the 6 month or year waiting time is over. By reapplying you are showing that you are committed to getting the job and it shows your interest in the airline. This is why they allow you to reapply, as in this time you may have gained more experience and improved your potential and have more to give them the next time round. 4. You can also considering doing things to help your next application, for example, getting some work experience at the airport, learning a new language, taking a tourism or cabin crew course , if you feel that it would help you be more confident. 5. Believe in yourself – remember that this is a learning curve and it will take time. 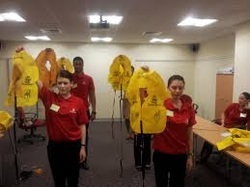 Do not be discouraged by what happened at your assessment day, it is nothing personal and does not mean that you would not make a great crew member. Sometimes you just have to find the right airline for you or wait until the right time whether it takes 2 times or 10 times at assessment day. 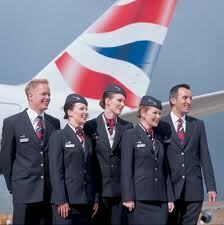 Don’t just give up – if you really want to be Cabin Crew, then you will get your dream job, but be determined! Copyright owned - please do not reprint any article (or part of it) without my permission - it is illegal!